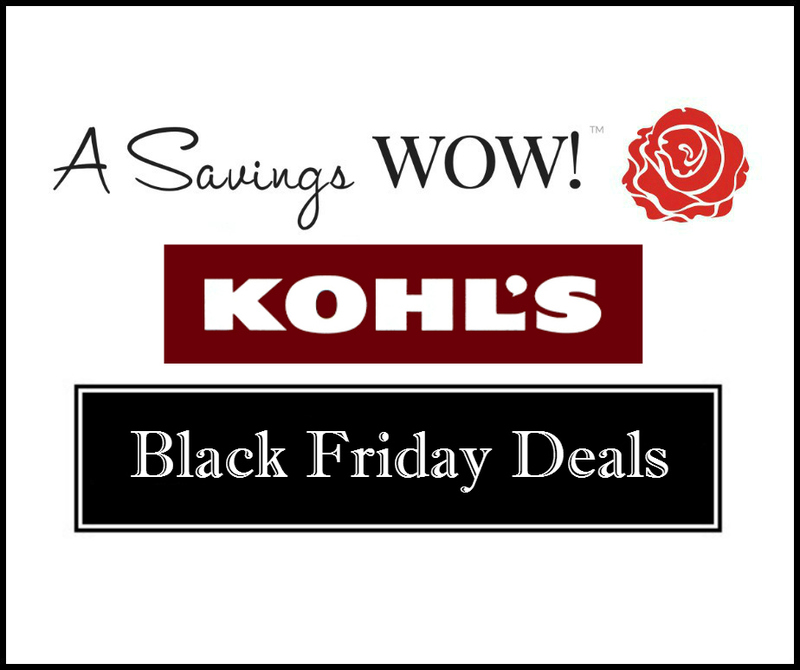 Kohl's Black Friday Deals | A Savings WOW! The Kohl’s 2015 Black Friday deals sneak peek is here. You can view the entire ad here. Thank you to My Frugal Adventures for compiling this list. Kohl’s will be opening on Thanksgiving Day at 6 pm for in store shopping or online starting Monday 23rd. The doorbusters are valid through Friday at 1 pm. They will be offering Kohl’s cash- $15 for every $50 spent starting Monday 23rd and running through November 29th. *In the past these have also been online but we won’t know for sure until Monday 23rd. Toastmaster Kitchen Electrics $4.99 after $10 mail in rebate (includes mini blender, coffeemaker, toaster, can opener, hand mixer, 1.5qt slow cooker, mini chopper. Small Electrics $9.99 (after $10 mail in rebate)- includes Black & Decker blender, wafflemaker, 2 slice toaster, Dash egg cooker, Hamilton Beach 6qt slow cooker, quesadilla maker, hand mixer or electric can opener, Bella panini maker or Dash popcorn maker.